The NY Times Real Estate section—the Rosencrantz to the Style Section's Guildenstern—has a report this weekend on the current state of Brooklyn Gentrification ™ ™. It seems that the Brooklyn residents being priced out of areas such as Park Slope, Williamsburg, Boerum Hill and Carroll Gardens (who aren't fleeing for suburbia) are instead turning their attention toward Sunset Park, Crown Heights, Bushwick, Ditmas Park and Prospect Lefferts Gardens. Oh, but you probably already know that if you've read the NY Times before. The problem with "Brooklyn's New Gentrification Frontiers" is that there isn't much "new" about it. It's true that most of the locations they profile haven't exploded in the same way that Park Slope or Williamsburg have (exception: Prospect-Lefferts Gardens), but they're all places the Times has already featured as up-and-coming gentrification locations over the last decade...or more. 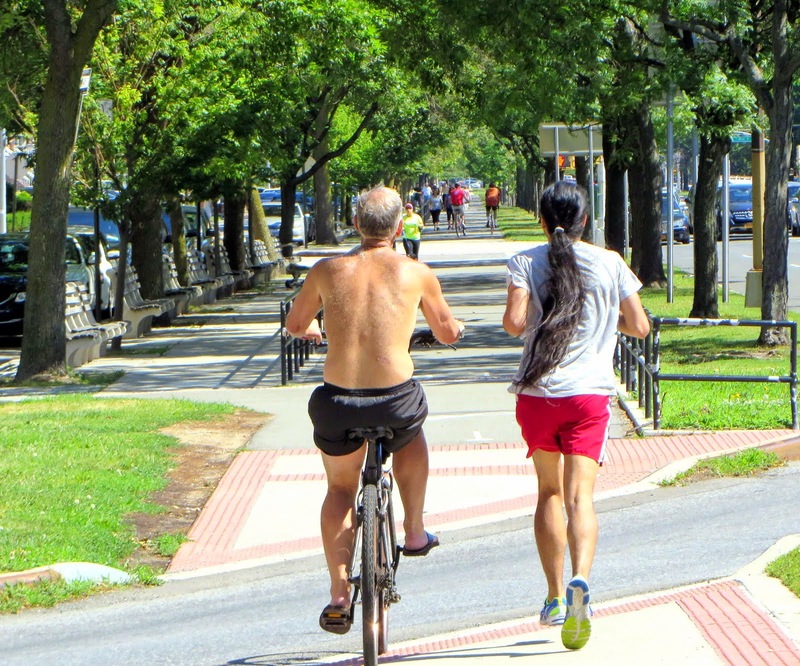 In 2009, Ditmas Park was touted as a place filled with "the grand Victorians, the trees, the big yards and the suburban atmosphere...'It’s just such a great thing to come home and see your kids outside playing.'" Bushwick was "fresh new blood in every sense" in 2006 and identified as a "transitional" area in 2011. 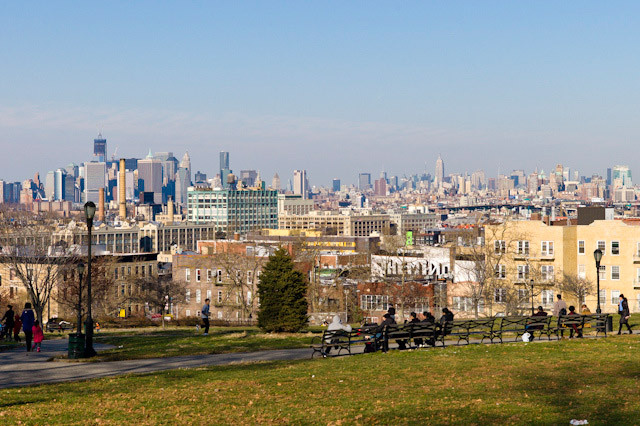 Sunset Park had "been on an upward track for a dozen years" in 2001, a revival that they noted was five years in as of 1985, "propelled by the availability of relatively affordable housing." A pregnant woman and her husband en route to a hospital were killed in a hit-and-run car crash in Brooklyn early Sunday, but the baby survived. Nachman and Raizy Glauber, both 21, were driving in a livery cab when a gray BMW sedan crashed into the side of the cab at the intersection of Wilson Street and Kent Avenue in Williamsburg, police said. A male driver and another passenger in the BMW then fled the scene of the accident on foot. Raizy Glauber was thrown from the car and her body landed under a parked tractor-trailer, said witnesses who came to the scene after the crash. Nachman Glauber was pinned in the car, and emergency workers had to cut off the roof to get him out, witnesses said. Nachman Glauber was pronounced dead at Beth Israel Hospital, while his wife died at Bellevue, police said. The couple's premature son was delivered at the hospital and was in serious condition. "The baby has no worry at all about being well raised and well taken care of," said community activist Isaac Abraham, a neighbor of Raizy Glauber's parents. "There's going to be such community outreach from psychological to moral to financial assistance, that's the least worry, the child should just make it." Police are continuing to search for the occupants of the BMW. No arrests have been made yet. The driver of the livery cab was also taken Beth Israel Hospital, where he is listed in stable condition, police said. On Saturday, Raizy Glauber "was not feeling well, so they decided to go" to the hospital, said Sara Glauber, Nachman Glauber's cousin. NEW YORK -- Ambulances are being welcomed again at a New York City hospital severely damaged nearly four months ago by Superstorm Sandy. The 371-bed Coney Island Hospital has struggled to recover from the storm, which filled its lower levels with water and destroyed its emergency department. The city's Health and Hospitals Corporation announced Friday the medical center is once again receiving ambulances for most types of care. It still isn't delivering babies or seeing trauma patients. The hospital had previously opened its emergency room on a limited basis for walk-in patients. Coney Island Hospital is nearly three-quarters of a mile from the neighborhood's famous beach, but the distance offered little protection from Sandy's wrath. The hospital has been operating a fleet of mobile medical vans in the flood zone since the storm. The Wildlife Conservation Society, which runs the aquarium in Coney Island, said Tuesday that about half of the aquarium would soon be open to the public, including exhibits in the Main Hall and the outdoor area of Sea Cliffs, which features walrus, sea lions, harbor seals and penguins.